Whether for childcare purposes, educational enrichment, social engagement, or a combination of factors, Ohio’s after-school programs will help children grow outside of the classroom. It doesn’t matter if your child is interested in the arts, STEM, reading and writing, or some form of physical activity, Ohio’s after-school programs run the gamut. Here are the 10 best programs in the state. At the YMCA in Columbus, Ohio, your child will find a well-balanced program supporting academic achievement while fostering their health and wellness and teach them positive social and emotional skills. 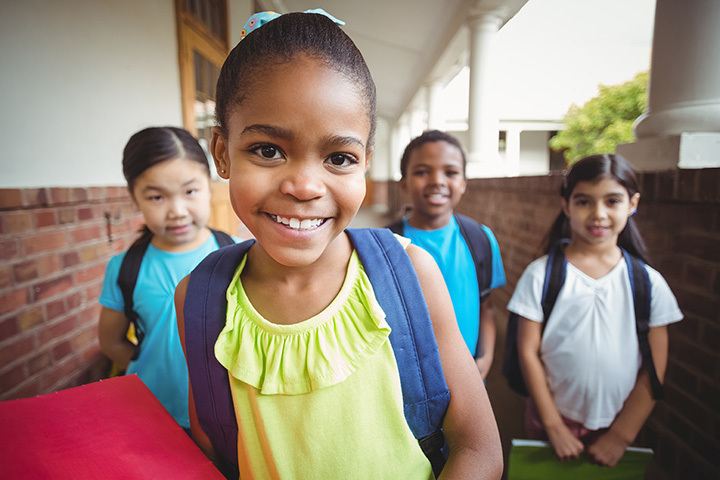 The YMCA’s after school program provides children a safe place to go when school lets out. Programs include literacy and reading, STEM, arts, and homework help. Kids R Kids is managed by the CBS (Children’s Business Services) in Cincinnati and features a great after school program for children ages kindergarten through fifth grade. As part of the program your child will receive a nutritious and delicious before or after school snack/meal made in a peanut-free allergy sensitive environment and features selections such as lasagna, ten grain fish tacos, mac and cheese, meatloaf, and more. Activities include tutoring, board games, books, arts and crafts, and on special holidays or vacation weeks, a field trip to exciting locations throughout the state! The St. Rita School for the Deaf in Cincinnati has a fantastic after school program and is one of the best in the city for children. Their mission is to educate infants and students who need special methods of communication in a safe, value-oriented environment. They offer classes such as sewing, chess, signing choir, woodworking, volleyball and more. Students will learn skills such as leadership, cooperation, discipline, critical thinking and good sportsmanship. Champions at Loveland Primary is the place for busy, working families who are looking for a great after school program for children age five to 12. Their programs are all about bringing out the best in a child and to help them explore and develop themselves as individuals. Interest areas and activities include creative arts, math and construction, puzzles and games, science, and a bookworm’s paradise: the library! Though Open Doors Academy provides excellent before and after school programs, they also do something much more than provide care. They work to protect, inspire, nurture and challenge young kids to reach their fullest potential. But more importantly, they’re working to break the cycle of multi-generational poverty by teaching kids character development, focusing on health and wellness, and tutoring services, including internships and other academic activities. Open Doors is changing lives one child at a time. The Enchanted Care Kids Campus in Delaware, Ohio is designed to maximize fun and learning with a focus in each of their activities, including: computer labs, an animal science lab, a gym, theater stage and movie theater, art studio, make and bake kitchen, game room and a homework library. They provide transportation to the facility from surrounding elementary schools, and even offer special camps during the summer and winter breaks. Does your child dream of being an explorer, traveling the wilderness in search of great adventure? Well now they can with the Junior Explorer Club in Columbus, Ohio! This exciting before and after school program takes your child out and about into the world, exploring the Columbus area and beyond where they can take part in workshops and go on adventures. The Explorer Club provides services for children in grades kindergarten through fifth and as part of the program they offer both a Winter and Summer Adventure Camp. Child Care Unlimited was founded in June 1989 and their mission has been to provide a quality, caring early childhood education program to children up through sixth grade. Each program is customized to the age level of the child, and features activities such as sports, games, arts, and music. Children are provided a healthy snack to meet their growing needs, and there is tutoring as well available. At the Compass School in Powell, Ohio, your child is going to be given the opportunity to participate in a program grounded in the child. Where children are considered powerful, unique and capable. Teachers provoke ideas by encouraging children to think outside the traditional box, helping them to problem solve, and letting them share their ideas and creativity. At Compass, kids are allowed to be kids after school, to run and play and jump and participate in real world projects. It’s a safe, positive environment for friends to gather, share laughs and camaraderie. The Children’s Learning Adventure in Westerville, Ohio operates on a STEAM based curriculum, which stands for science, technology, engineering, the arts and mathematics. Here they develop problem solving and critical thinking skills outside the classroom with hands on experience but they also participate and learn other activities such as culinary arts and media. Children’s Learning Adventure offers freedom and structure while inspiring children to dream and staying safe.